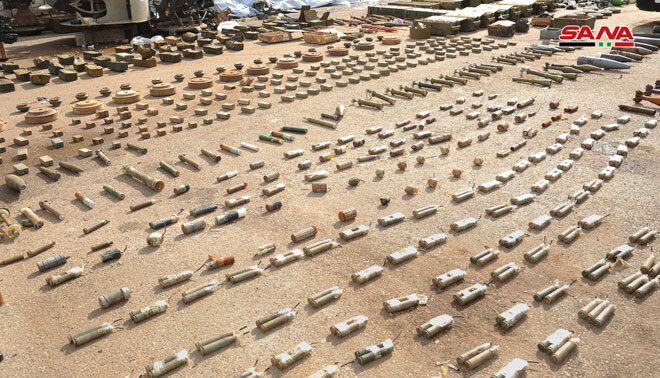 Daraa, SANA-Competent authorities seized Israeli and US made weapons left by terrorists between Um al Mayazen and Saida towns in Daraa eastern countryside. 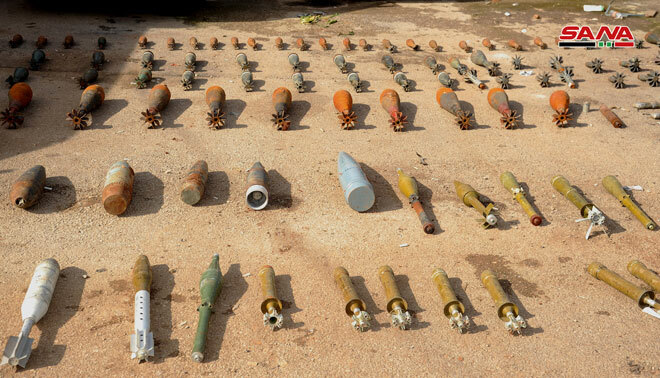 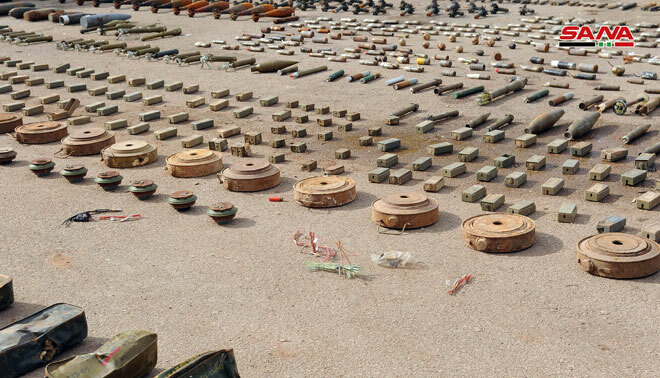 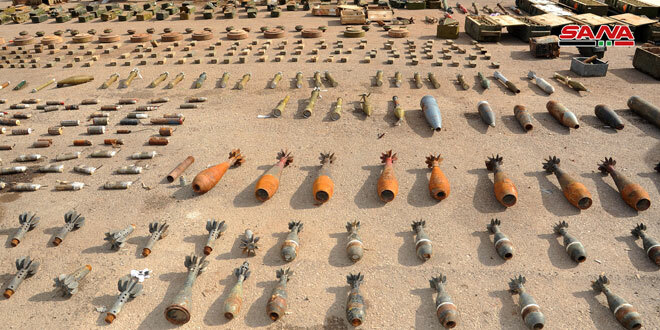 SANA reporter said that an cache from the terrorists’ remnants containing Israeli and US made weapons was found on Saturday in the farmlands between Um al-Mayazen and Saida towns in Daraa eastern countryside during the combing operations in the liberated areas from terrorism. 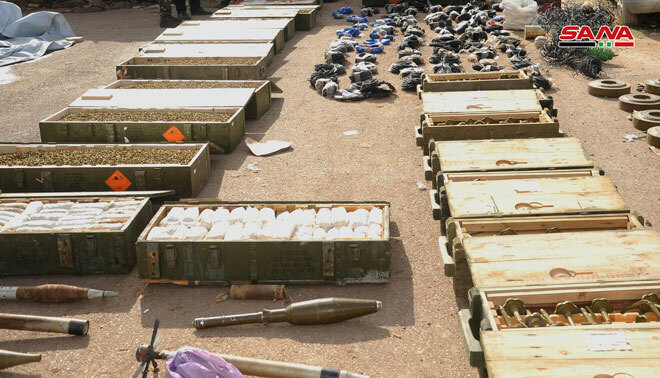 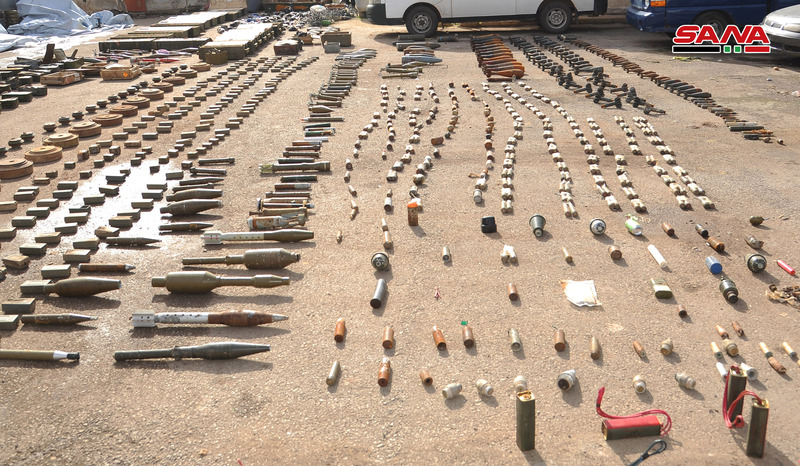 The seized weapons included anti-personnel landmines , Israeli-made tanks, various sizes of explosive belts, 23 mm and 14.5 mm machinegun ammo, various types of RPG rounds and mortar shells, in addition to large quantities of gunpowder used in the manufacture of explosives.